20 Mexican Desserts for your Sweets Table that are the GOAT! 20+ Mexican Desserts for your Sweets Table that are the GOAT! Have all your guests flock to your sweets table with this lit round up of drool worthy Mexican desserts! Copy away! Mexican desserts: wedding cookies, chocolate cookies and churros. Yum! 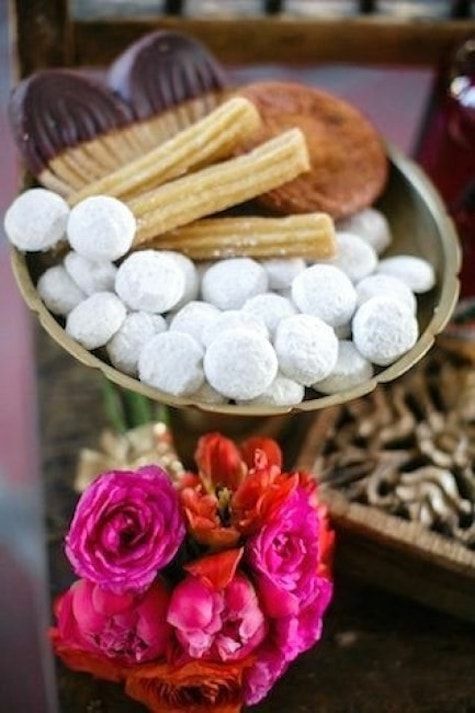 Whether you are planning a food fiesta or not, a sweets table filled with Mexican desserts will delight every one of your guests! Of course, you’ve heard (and tasted) the scrumptious Mexican wedding cookies, but how about tempting your guests with a line up of mouthwatering Mexican desserts? From sweet breads and rum-soaked fruitcakes to chile pepper-spiked Mexican wedding desserts, this round up has something for everybody’s taste. 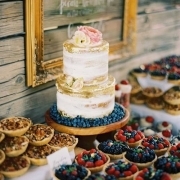 Keep in mind that the dessert table is one of the most visited spots at a wedding. 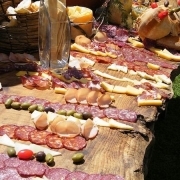 So, regale your friends and family with these Mexican cuisine delicacies. They will not be able to say no to these Mexican desserts! 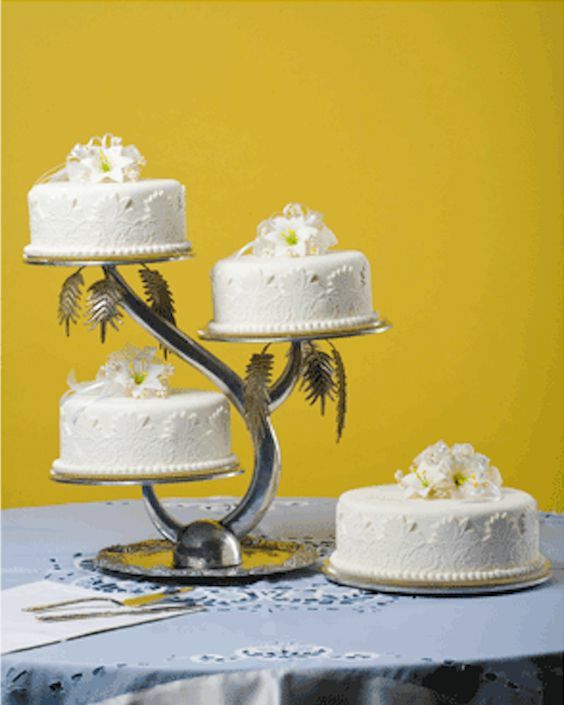 The Mexican wedding cake has traditionally been made out of scrumptious rum-soaked fruitcake or the famous tres leches cake. None of them is easily stackable into tiers. 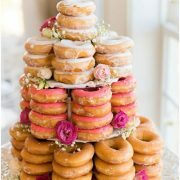 So, instead of a giant tiered cake, Mexican weddings will often have a dessert table for a grand display of an assortment of cakes and sweets. Traditionally, Mexican wedding cakes are rum-soaked fruitcakes. Delicious but too heavy to stack up. In order to serve a sizable number of guests, they were presented at different individual levels with the help of tiered wedding cake stands. Buñuelos, sweet breads, sopapillas, camotes enmielados, chile-spiked chocolate brownies, Abuelita chocolate cookies filled with caramel or tamarindo sauce. There’s so much variety that it’s hard to choose. Good word of advice, don’t go overboard. 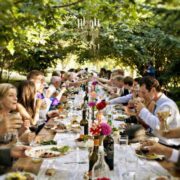 Plan for each guest to help themselves to three servings at the most, this is not exactly light fare. 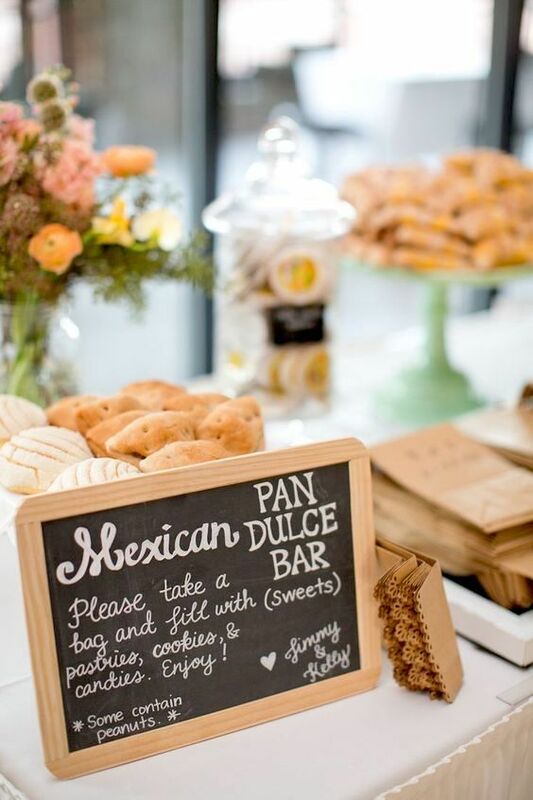 Mexican pan dulce breads station. Enjoy! The sopapillas, sopaipas, or cachangas are made with fried dough and drizzled with honey. A “must try” on your list of Mexican desserts! Mexican desserts for your sweets table: Sopapilla berry cheesecake. Hundo lit! Pastelitos de boda (literally, “wedding cookies”) or “polvorones” are a traditional dessert at Mexican weddings. 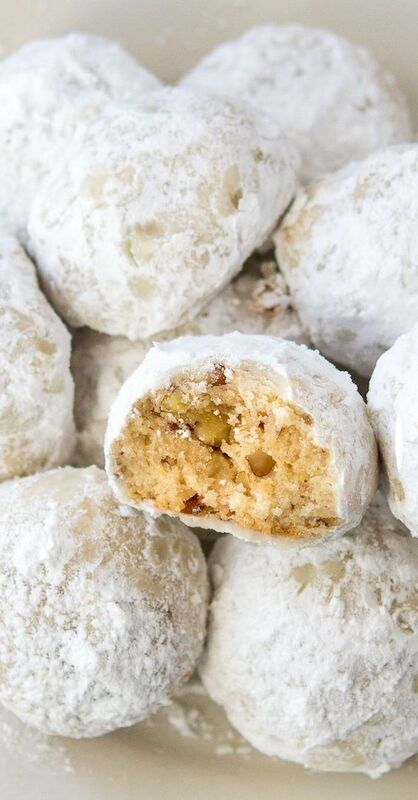 Made with shortbread, walnuts, pecans, or almonds, rolled in powdered sugar, they’re a sweet way to end you special day. The Mexican wedding cookie originates in medieval middle-eastern cuisine that got to Spain with the Moor invasion and that’s how it made its way to Mexico. It also appears in many other countries cuisine, so we find variations of this cookie in Italy, Argentina and the famous Russian Tea Cakes. Polvorones or Mexican wedding cookies. Buttery pecan confections that melt in your mouth. Covered in powered sugar. Mexican Desserts for your Sweets Table: Cakes! You may also choose to follow tradition and present an arrangement of Mexican cakes. 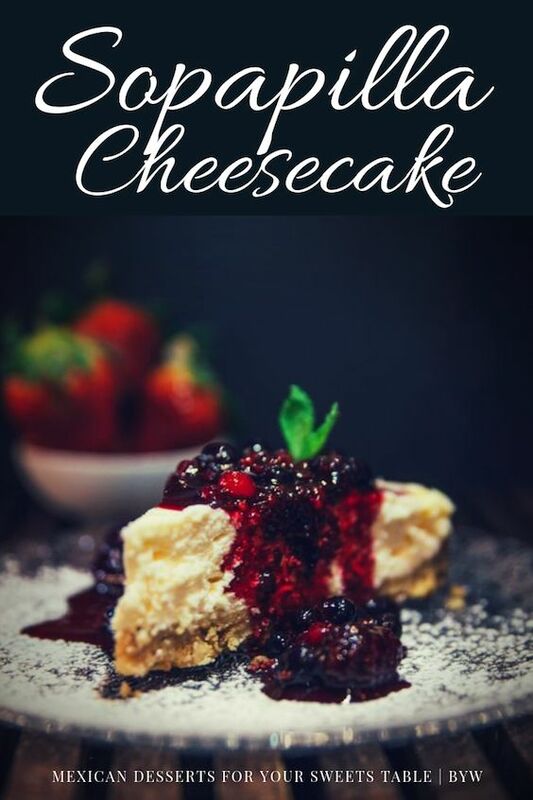 For example, a pastel tres leches, a sponge or butter cake infused with condensed milk and heavy cream will be a lit addition to your wedding desserts table. There is also budin, chabacano cake, fruitcake and chocolate cake. Here’s an idea! Spike brownie mix with ground chipotle, chile pepper and cinnamon. Serve with dulce de leche ice cream for an easy Mexican-inspired dessert. Spike boxed brownie mix with ground chipotle, chile pepper and cinnamon. Serve with dulce de leche ice cream for an innovative Mexican dessert. Even though churros as we know them today, originated in Spain, it was in Mexico where the conquistadors found the cocoa beans to make the chocolate sauce we dunk them in. One fab idea is to serve mini-churros in shot glasses dipped in chocolate sauce. Or dipped in dulce de leche, if you so prefer. 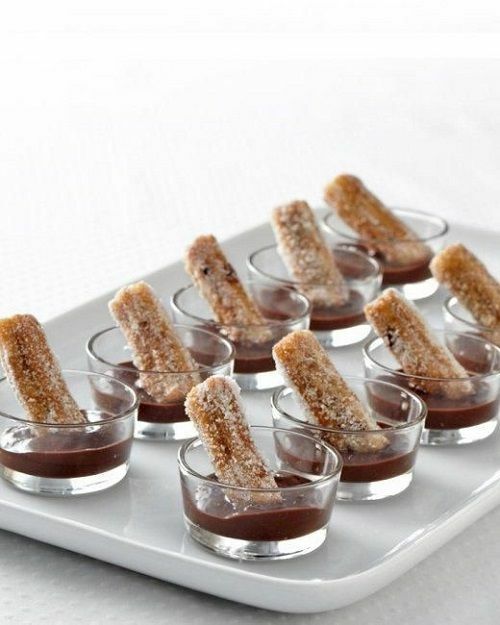 Must have snacks for your wedding dessert table: churros dipped in chocolate! 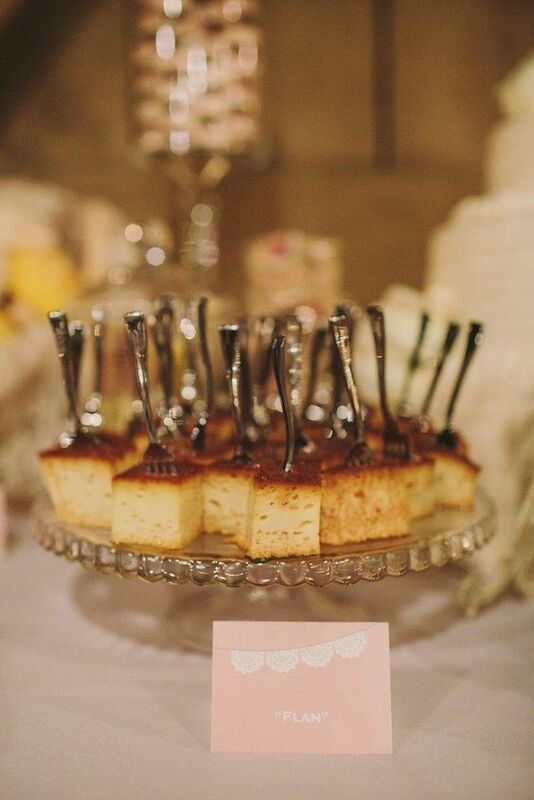 El amor es dulce is the perfect addition to your wedding dessert table. Let your guests fill them with classic Mexican churros and take them away as favors. Ships from Marcus, Iowa via Etsy. The perfect addition to your wedding dessert table. 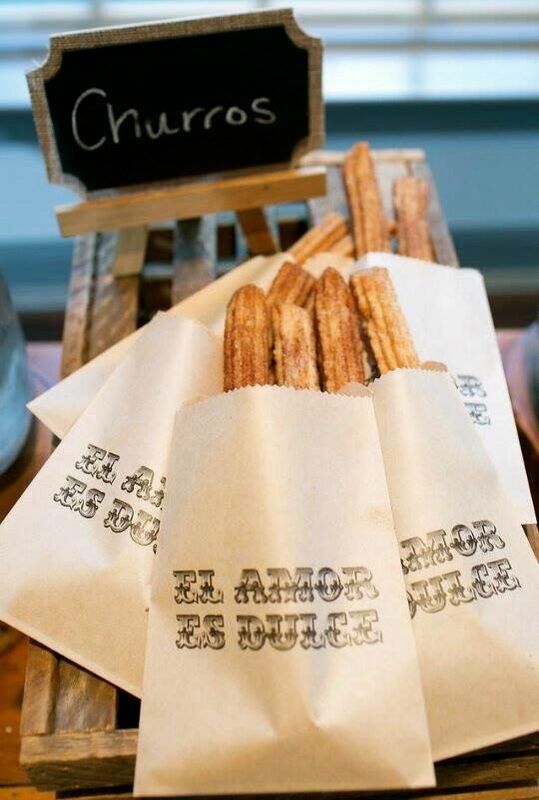 Churro wedding favors your guests can bag themselves! Via Etsy. 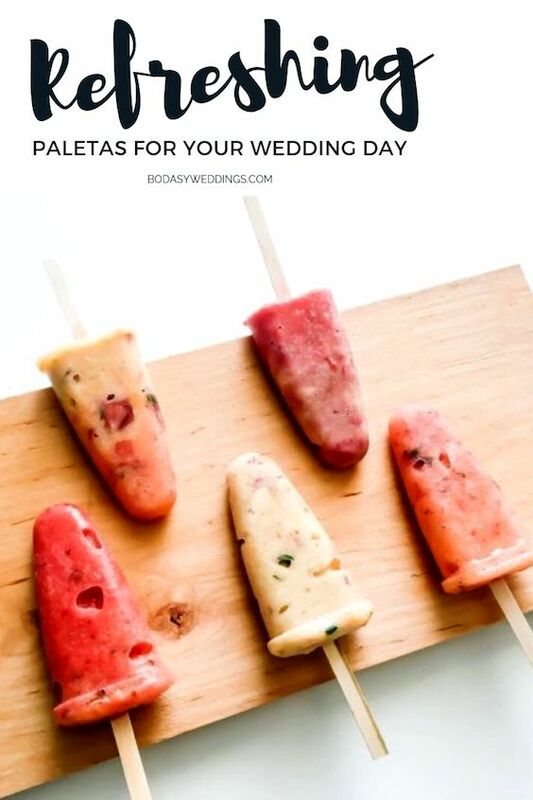 Spring and summer weddings can portray an array of delectable fruit bars or paletas. Made with aguas frescas, a fresh fruity juice drink. 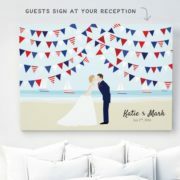 Want to make an even bigger impression? Pick flavors whose colors match your wedding theme. If you are hosting a fall or winter bash and want to include them in your Mexican desserts table, there are some fav flavors available, such as chocolate, tamarind-chile, and walnut. Paletas de aguas frescas or fruit bars, natural and delicious. And you’ve been dancing all night long… so grab a couple!! A favorite of adults and children alike, this custard concoction is a great addition to dessert bars. 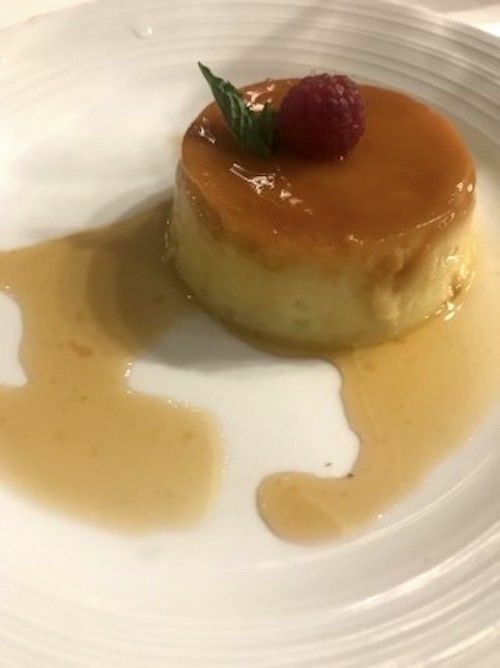 One great idea is a flan bar. Chocolate, vanilla and walnut flan with the topping of your choice. Drool-worthy walnut flan. Top it with caramel, dulce de cajeta or make them a la mode with a scoop of ice-cream. Who amongst your guests will resist this temptation? Champurrados a thicker version of hot chocolate and atoles (or atol), a náhuatl word that means corn-drink will definitely hit the spot after a dancing all night long. Mexican chocolate’s distinctive and rich flavor comes from the spices and the roasted and ground cacao nibs used in its preparation. These nibs smell like super-rich chocolate but it’s way more bitter than dark cocoa. When mixed with sugar, nutmeg, cinnamon, chiles, and tamarind, it becomes a drink for the gods! I had some real Mexican hot chocolate with tamarind and orange and I can assure you, it slays! 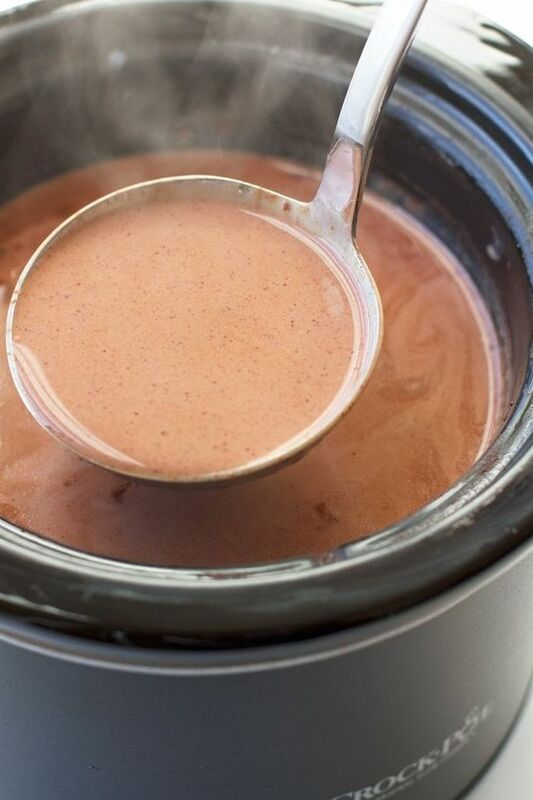 Champurrado or Mexican hot chocolate with chile, cinnamon and nutmeg. So yum!! 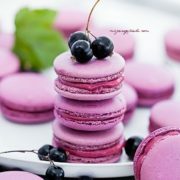 Recipe by Little Spice Jar. 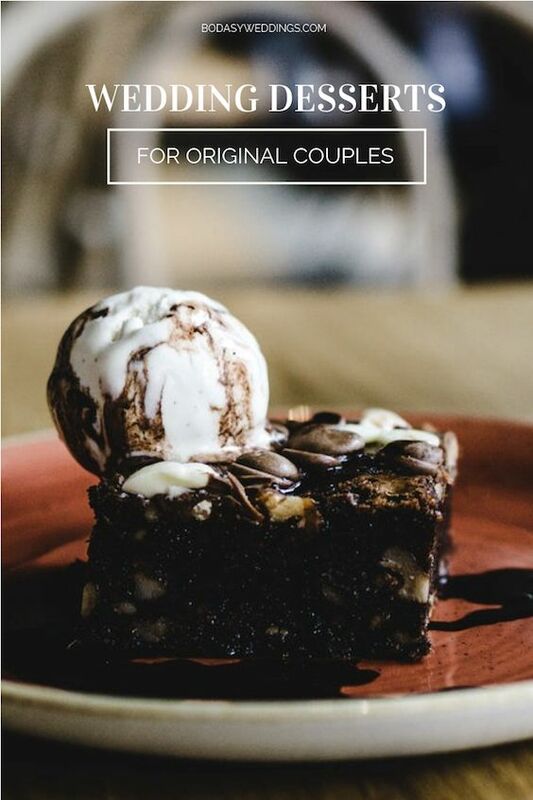 https://bodasyweddings.com/wp-content/uploads/2019/01/innovative-Mexican-desserts.jpg 846 564 Bodas y Weddings - Patricia https://bodasyweddings.com/wp-content/uploads/2019/01/bodasyweddings-logo-byw.png Bodas y Weddings - Patricia2019-01-20 14:37:352019-03-28 23:33:3620+ Mexican Desserts for your Sweets Table that are the GOAT!